Game of Thrones is coming to end. Well, HBO is developing a prequel series and George R.R. Martin still has to finish the series, so Game of Thrones will live on on the silver screen and on the page. But the main show, the only show as of now, the show that brought many of us to this fantastic story and allowed book readers to sit back with smug looks on their faces, is coming to a close. In honor of that, let us sit back and reflect. Let’s run back to May 24, 2013. You might not have been in your comfy seat, but you felt that warm and fuzzy feeling as a smile came across your face. Recall that smile, and together we’ll watch back when times were simple. Among other things, Jimmy Fallon was the host of Late Night on NBC. He and his teams of expert writers transformed the 30 Rockefeller Center into its own version of Westeros. The Iron Thrones became the Iron Desk, Dragons were Peacocks, and the Red Wedding hadn’t aired yet. On Sep 25, 2013 we were graced with this wonderful parody. 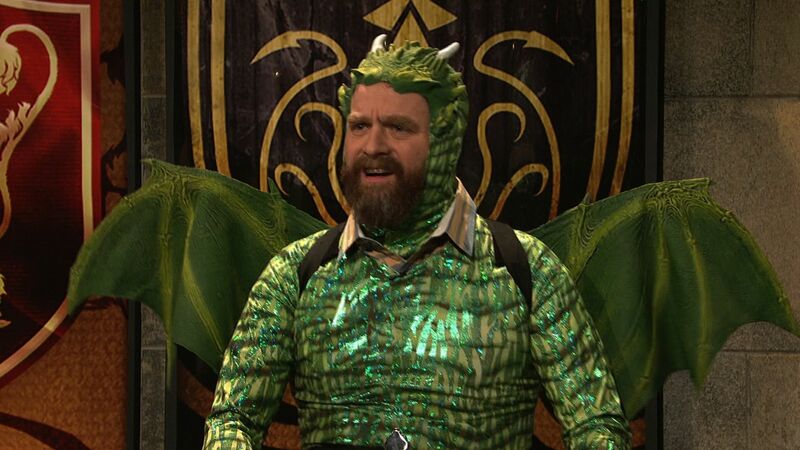 Bill Hader, future Richard Tozier in It Chapter 2, stands before three super fans played by Taran Killam and Aidy Bryant, but the third fan, Duncan (Zach Galifianakis) has come dressed as a dragon. Why is Jaime called Kingslaver? Who killed Half-hand? Easy questions, but Duncan is asked this: What is the capitol of Wisconsin? Oh, I feel attacked, and the sketch isn’t even in full swing yet. Even back in 2014 we were making jokes about how slow George writes. Oh, if only we knew. But if want to know why George R R Martin hasn’t finished The Winds of Winter and Dreams of Spring yet? Well on April 6, 2014 we got an answer, sort of. It’s exactly what George R R Martin would say if he actually let loose and spoke his mind. Bonus points if you want to know how he got to name the White Walkers? I’ll give you a hint: a white guy just walked past me. “So much for global warming,” one patrons jests. It’s funny because the Night King hadn’t risen the dead in front of our eyes. Hope you didn’t have a baby shower before Feb 18, 2016, because you might have invited the wrong guest. Seth Meyers did in his sketch on Late Night where he brought the Red Priestess herself, Melsiandre, to a baby shower. “The night is dark and full of terrors,” she warned, sitting in a room with not only Seth Myers, but his pregnant wife and human rights attorney Alexi Ashe. At least didn’t set anyone on fire. 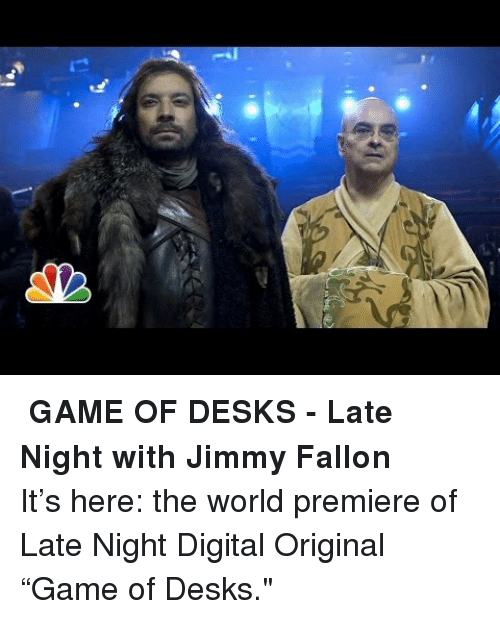 On April 3, 2016, SNL gave the stage to Peter Dinklage and Emilia Clarke (Kate McKinnon) as they took viewers behind the scenes on Game of Thrones’ sixth season, giving us our first look of Tyrion with the pre-CGI Dragons. Yes, they sound like raptors but Randy is hilarious. And if Drogon sounds like Randy, then he totally should talk. Back on May 8, 2016 it was a simpler time. “Jon Snow is dead!” all the characters say, while we the audience sat back and said, “Shut up and bring him back.” In this sketch, Cecily Strong and S.N.L host Brie Lawson (Captian Marvel) act as audience surrogates, showing that maybe things were a lot easier during episodes 601 and 602 when we know what was coming. The best part is Jon keeps waking up and being told “Not yet!” by Melsiandre. Aired Aug 9, 2017, it’s less of a parody but more of a commentary. 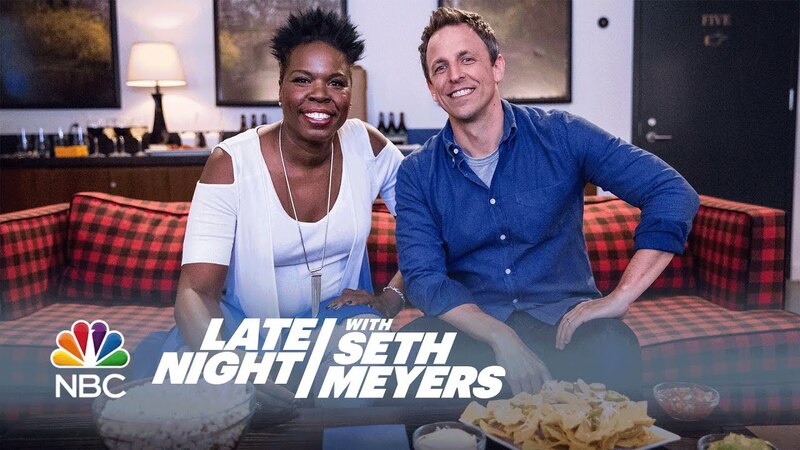 Seth Meyers steps by Leslie Jones’s apartment to listen her live instead of just reading, like most of us, her live-tweets. Watch it. No spoilers, but Varys stops by just Jamie meets Drogon, as well as Daenerys Targaryen, for the first time. 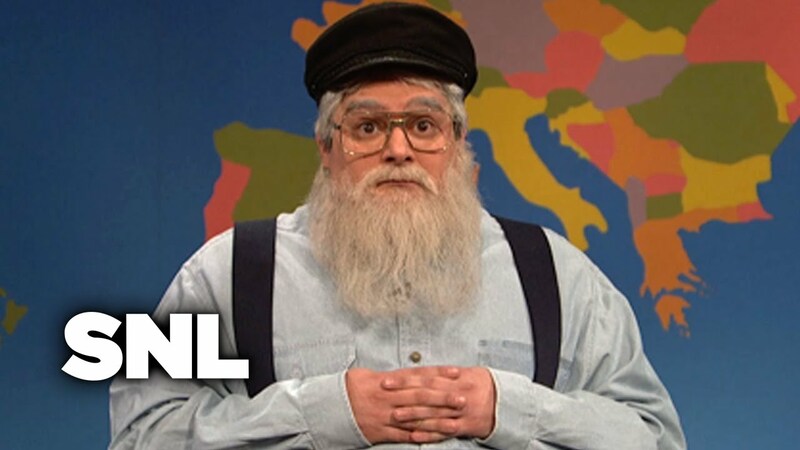 You might remember this one since this sketch only aired on Dec 8, 2018. It’s KHAL DROGO’S GHOST DOJO! It’s a place where all the characters who died on Game of Thrones can go. With Khal Drogo there for Dothraki public access, what can go wrong? Either way you cut it, its laugh-out-loud hilarious to see Khal Drogo meet several other dead characters. The first guest is a punch in the gut, however, since it’s the lovable puff-bag Hodor. Honestly, that “hold the door” joke was as painful as the Red Wedding. At least they made it up with hearing him actually speak in coherent sentences. On a related note, sorry for bringing up the Red Wedding. I know you probably forget about it. Oh, who am I kidding? The North Remembers.